There is a miss belief that you have to buy the wine as wine companies who are expert in this field alone can make it. It is quite simple to manufacture wine provided you have the proper ingredients and enough endurance. In reality, homemade wine is a traditional norm in America and other countries since the good old days. We may think that it is easier to obtain wine than to make it yourself. We should ask ourselves. If our predecessors made wine at home many years ago, then why shouldn’t we make it when we are living in the twenty-first century? In fact, we have the proper equipment to make the wine at home that they did those years. There is no difference between a homemade wine and a wine purchased from the big shops in the city. Homemade wine tastes as good as other high quality identified wine. To make wine at home that you desire, you need to know the type of fruits you want to make the wine, the quantity of the wine you need, the amount of sugar that will be required in making the wine, and the amount of acid that you want your wine to contain. Different types of fruits contain an unusual amount of sugar and acid. Fruits that are sweet produce a sweet wine while and you don’t need to add much sugar to it. Fruits that are not sugary, you need to add an amount of sugar for it to be tasty. To make wine in the comfort of your home essential steps should be adhered in the preparation time. You need to get everything set as far the equipment and constituents are concerned. You will need quality and intermediary apparatus together with the raw materials. (a) They are easy to clean. (b) They don’t react with the wine chemically. (c) You can see wine as it ferments as the bottle is clear. Wine press: the fruit contains juice which must be squeezed using the wine press. You can also use a potato masher. An airlock: This equipment prevents the wine from contamination. Clean the fruits well. Ensure that the fruit doesn’t have particles. Make sure that the grapes are crushed to produce the must which composes of the juice, pulp, and the skin. Put honey in the juice. Honey provides sweetness to the wine. Add yeast: use yeast that is made to use in winemaking. By letting the natural yeast in the grapes to ferment on its own. By adding sulfite or potassium to catalyze the fermentation process. The below process is to take place during this process. Cover the crock and store overnight. The crock bottle should have a tight lid and should be put in a warm area of 70 degrees temperature. Mix the must few times per day. At least after every 4 hours during the first day. Stir the mixture a few times for the next three days. You will see the mixture bubbling as the yeast reacts. Siphon the liquid. After three days of bubbling, siphon the cash to your carboy glass. Let the liquid sit stay in the glass for one month. After the wine has fermented, siphon to the clean bottles and get ready to drink your wine. 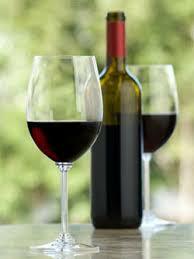 Always use clean apparatus to store your wine to prevent bacteria from interfering with the process. You can also prefer storing it in a Wine Cooler. Get to know about Best Wine coolers at thewineitems.com. Allow air to get in for your first ferment. Keep the 2nd ferment away from atmospheric oxygen. Taste the wine at intervals to ensure that you have the desired taste that you want. Make a dry wine instead of sweet as it is possible to add sugar when you want. Do not use metal vessels as they tend to react with the wine. Use spring water as it contains the right minerals. Advantages of drinking homemade wine over commercial wine. It is quality and better tasting. When making your wine, you will ensure that you have used the best ingredients compared to the commercial ones. Fewer hangovers. Homemade wines have yeast and vitamin B which is responsible for reducing hangovers. Winemaking is a fun activity to engage in as it saves time and money. You can prefer making your wine as you will be sure of what you want regarding the taste, color, and texture of the wine. Moreover, it is cheaper to make your wine. You don’t have to spend a dime searching for the most expensive wine and then get disappointed after that. Make your wine to your preferred preference. Homemade winemaking is that helps relieve stress. This process helps your mind to think clearly and focus on the winemaking. You don’t have to drink outside and come home late in the wee hours. Make and drink your wine at your home anytime you want. Wine lovers can testify that taking wine comes with a beautiful feeling that cannot be compared to any other. A glass of a homemade wine will keep you energized all day long. Homemade wine also has health benefits. Reduces chances of a heart attack and also improves our immune system. In conclusion, wines are made to be enjoyed with the company either during parties, celebration, traditional rituals or on an important date. It is good to know the type of wine you need before going on with the winemaking in order be specific on what you are making. Use the right amount of sugar when making sweet wines not to lose the original taste.